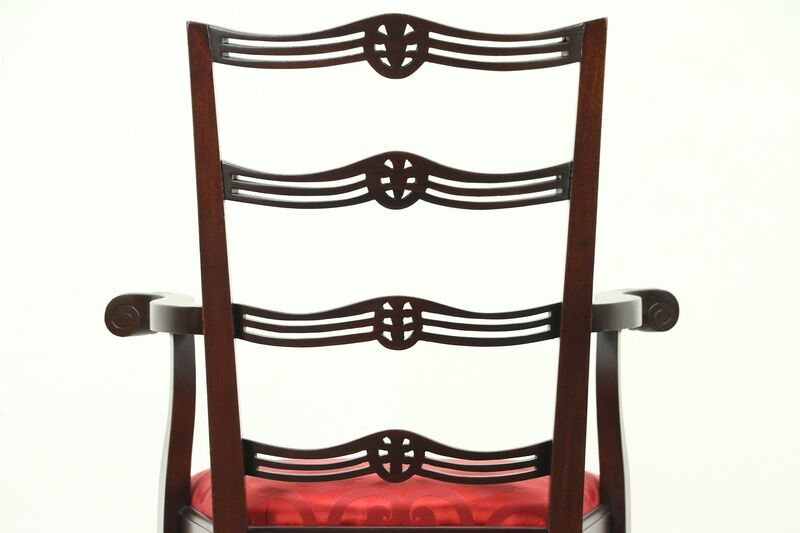 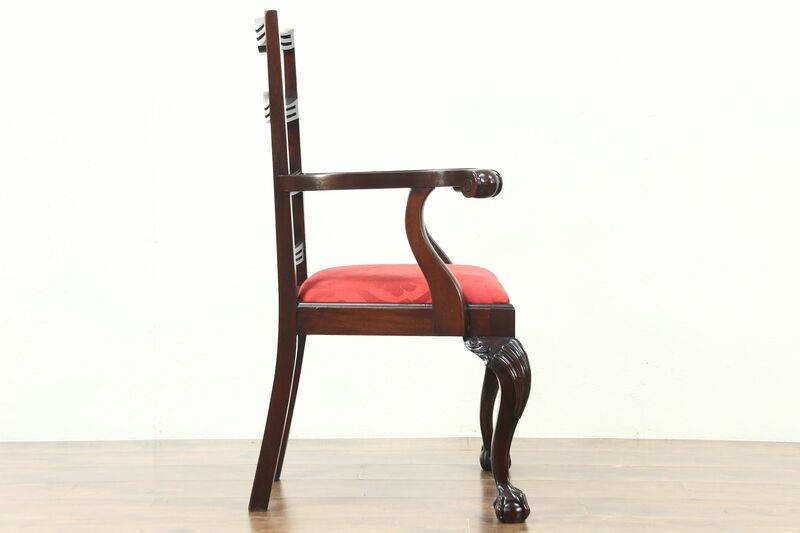 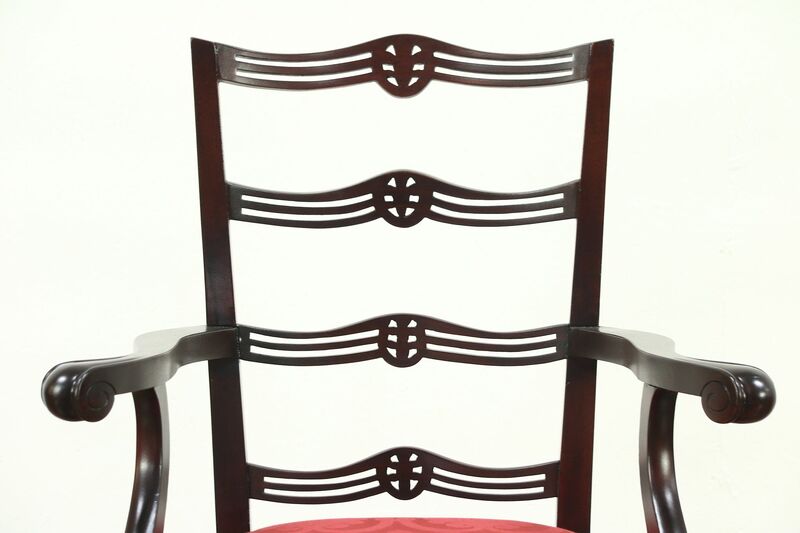 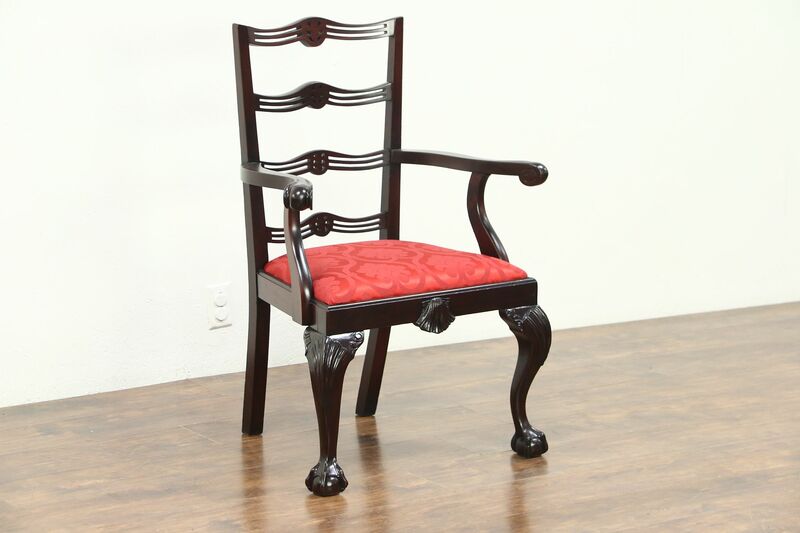 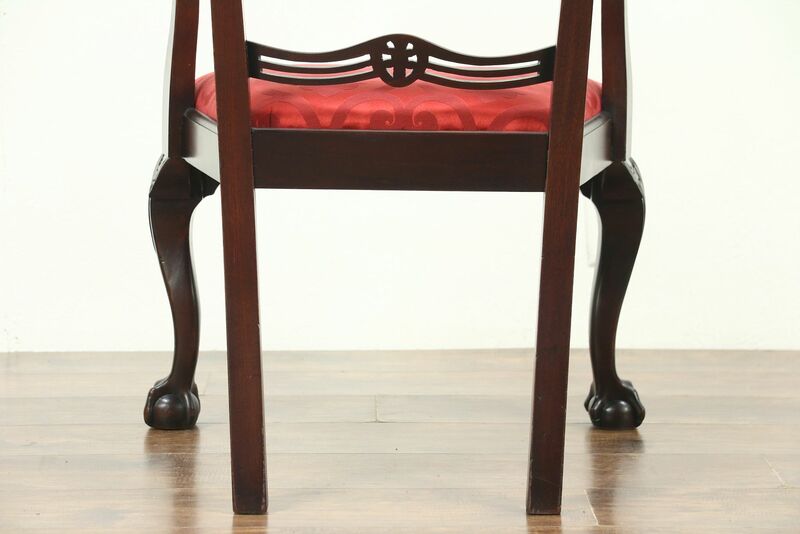 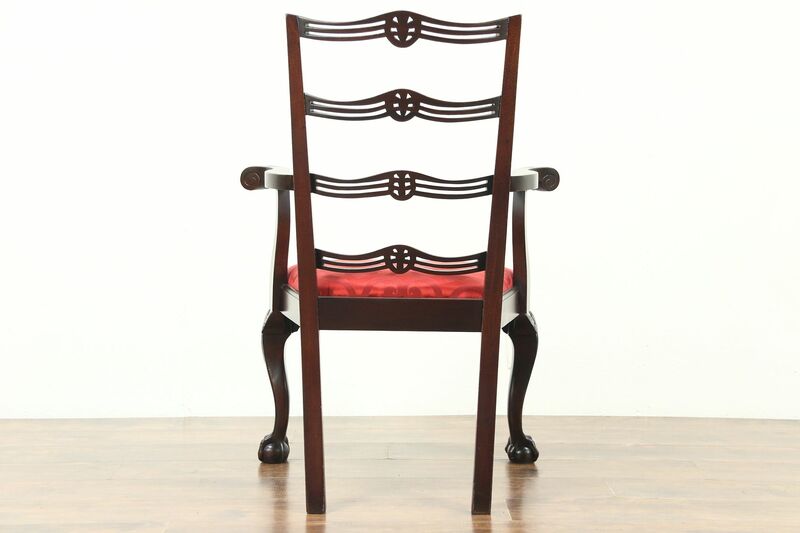 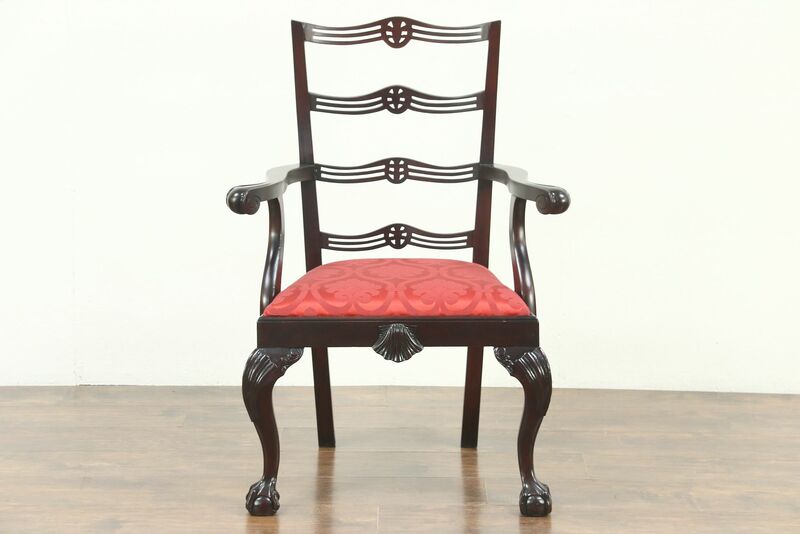 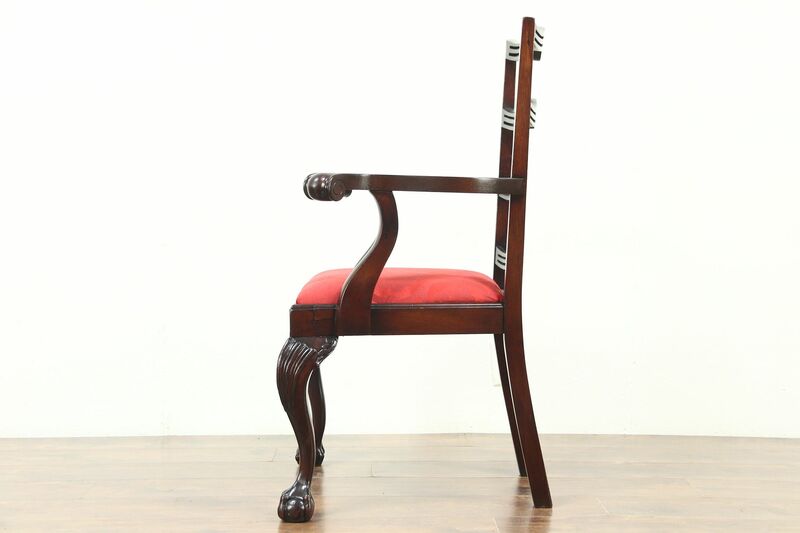 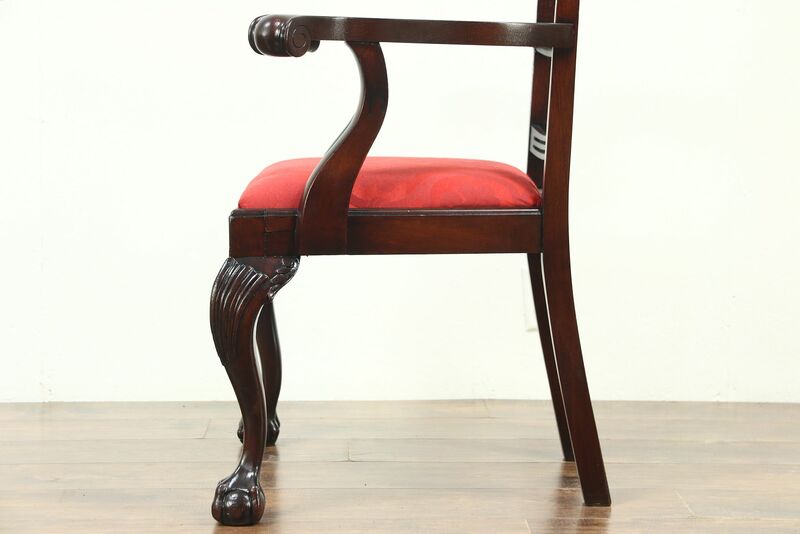 This Georgian Chippendale style armchair was carved of solid mahogany in the 1940's with classic claw and ball feet and dramatic arms. 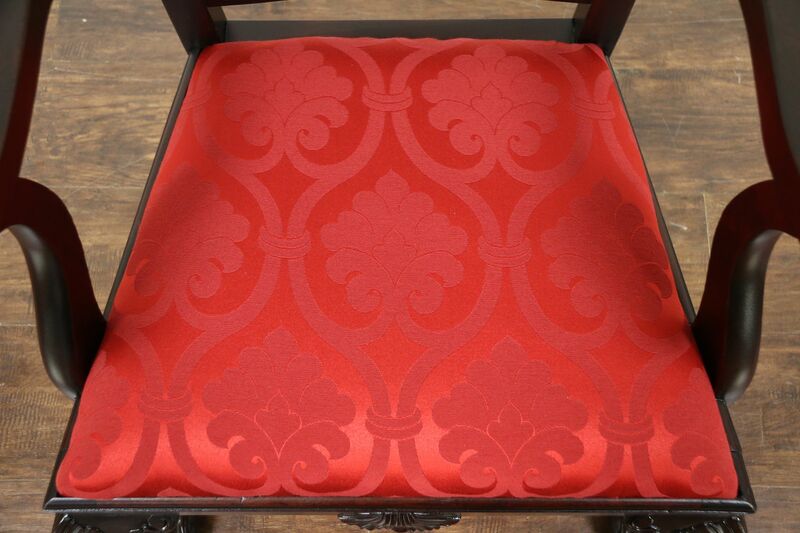 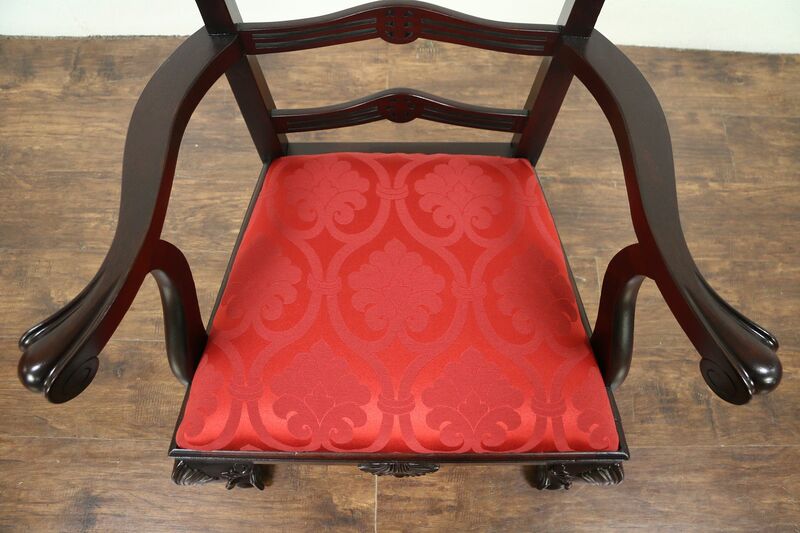 The seat is newly upholstered in European fabric. 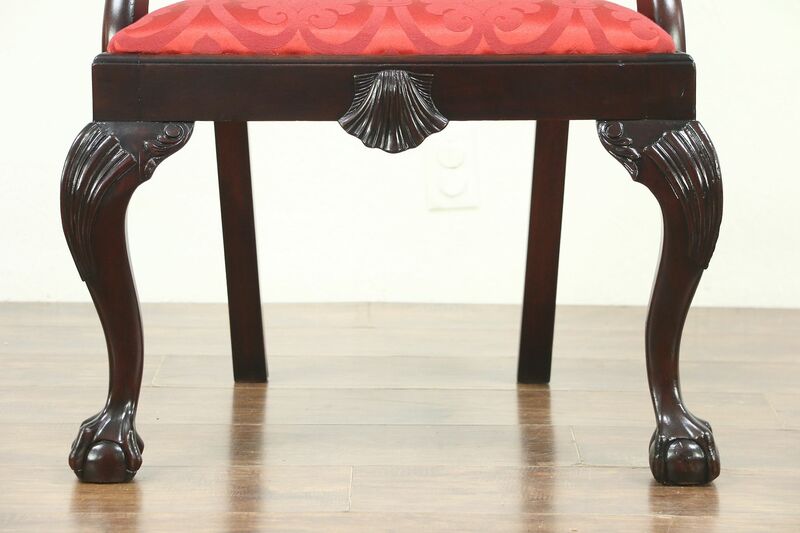 The restored deep finish is in excellent condition on this American made vintage furniture, no maker's signature survives. 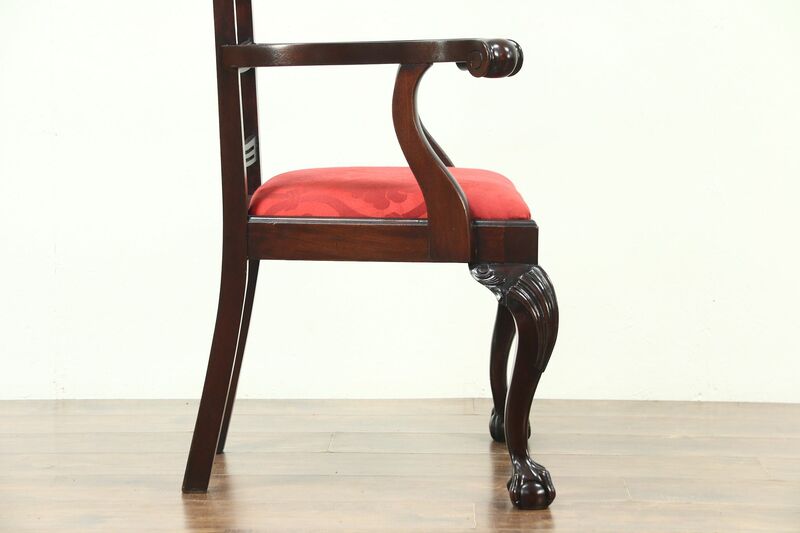 Strong and durable, the frame has been reglued to serve another generation. 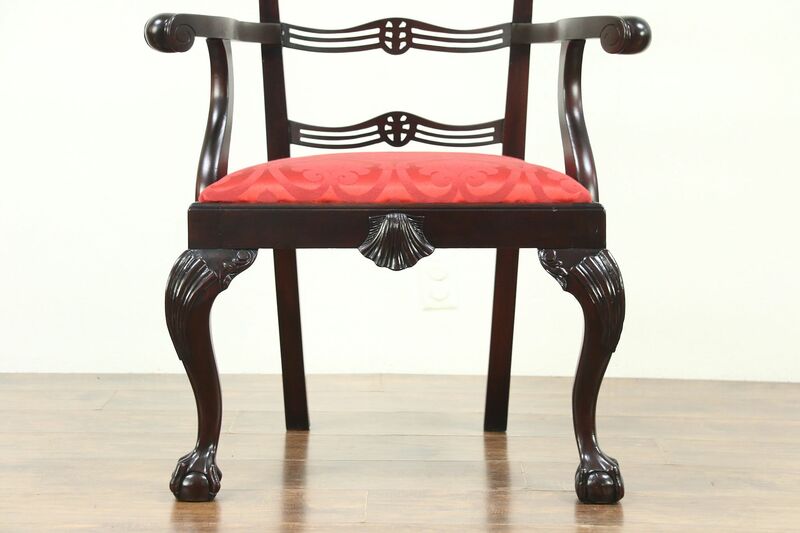 Measurements are 28" wide, 22" deep, 38" tall and the seat is 18" high.